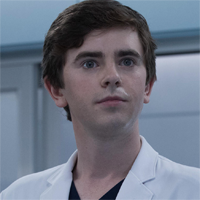 The Good Doctor criticized for depicting autism as a disability "superpower"
Because Monday is World Autism Awareness Day, psychiatrists Christy Duan, Vasilis K. Pozios and Praveen R. Kambam explain in a Hollywood Reporter column whywhy hit ABC drama has proven to be "bad medicine" for autism and autism awareness. "So what’s wrong with Hollywood representing only one end of the autism spectrum?" they say. "Ignoring the modern psychiatric view of autism, film and TV repeatedly depict autism as a sort of disability 'superpower.' Such representations do a disservice to autistic people by creating the new myth of the 'model neurominority.'" They also criticize Hollywood for mostly depicting people with autism as white men. "The association of autism with white men could manifest as underdiagnosis and delayed diagnosis among women and people of color," they write.